Things have been a little chaotic at my house with the big computer crash. I am still scrambling to catch up, but in the meantime, I’d like to leave you with a sweet little before and after. The shades in my living room and dining room are completely finished! The whole family is really enjoying dinner time without the baking sun in our faces! 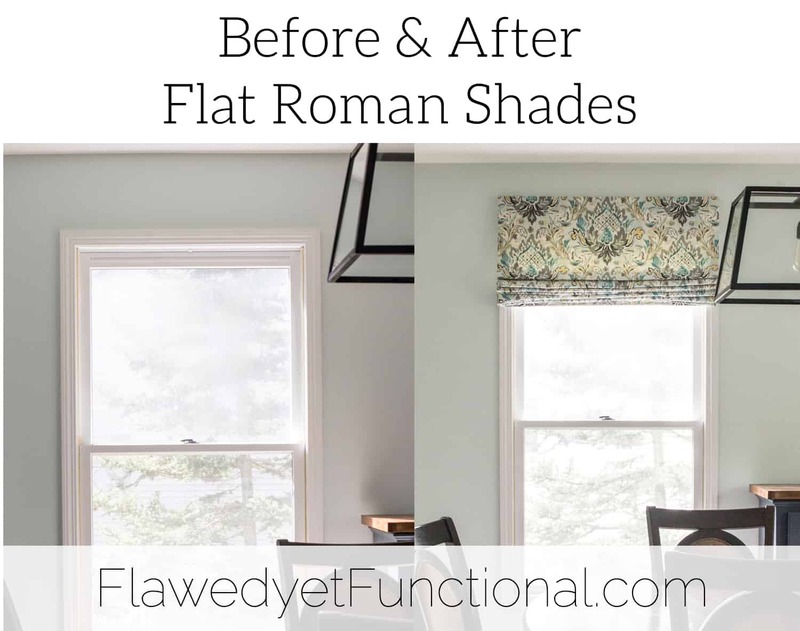 Today I’d like to showcase my new flat Roman shades before & after! So much more polished, don’t you think? 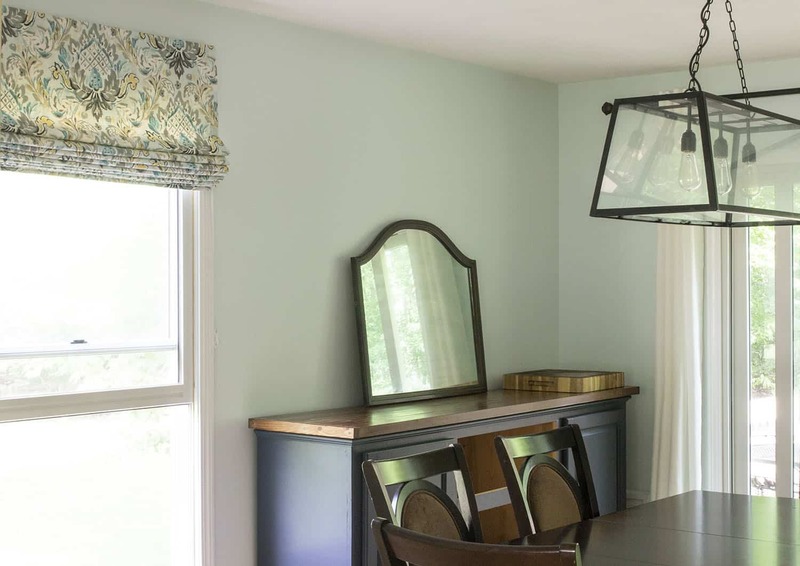 I just love the instant face-lift that window treatments give to a space. The room goes from “we-just-moved-in” to “finished and homey.” Don’t tell anyone that we’ve actually been in the house for five years! Shhhh! Now that the project is finished, I’ve learned a couple bits of random wisdom I’d like to pass along. Without a screw eye to defray the weight and friction of raising and lowering the shade, the cord will fray quickly. As in, the first or second time raising the shade will fray the cord! Don’t be like me, use screw eyes for each cord on the mounting board. I always over-estimate the amount of work I can do on projects around the house, but I have other priorities than just making my house look pretty. Take the time to give each step the attention it needs. 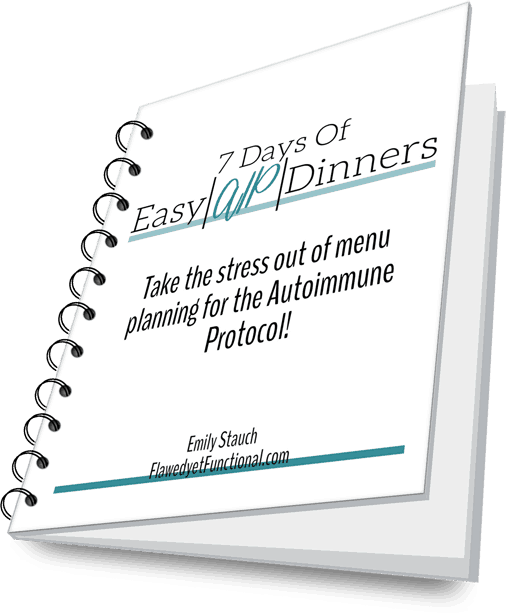 The finished product will be worth it! Drawing a straight line on fabric is tough! Going right along with sewing takes time…take the time to get the lines straight before cutting! The end result will be so much better if the edges are straight! The best way I found is to use a long level, 4′, and use the salvage as the guide. 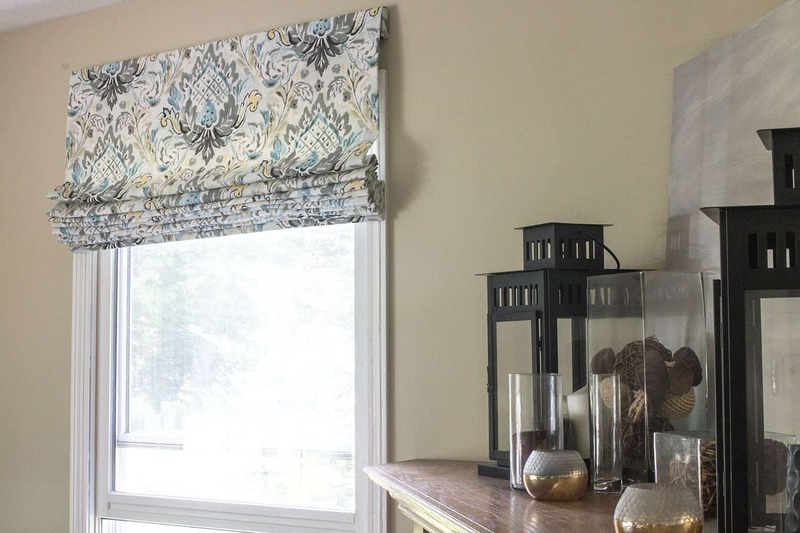 I’m working on a tutorial for flat Roman shades, and I’ll share my tips for drawing straight lines in that post. Another project complete! 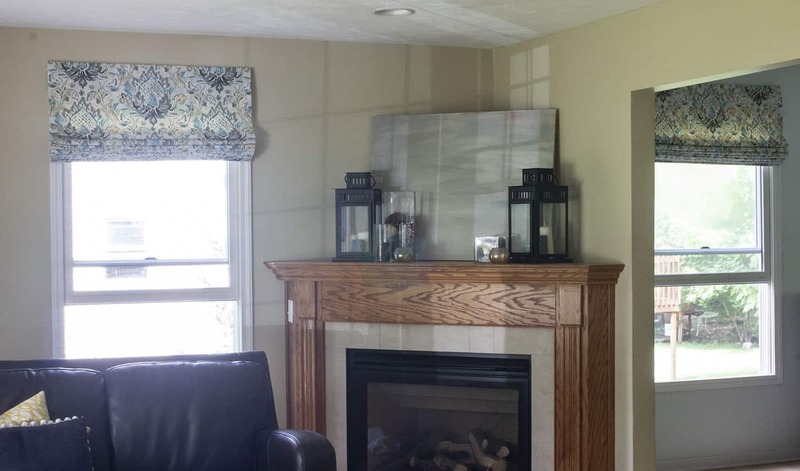 Window treatments make our first floor look more finished and homey, not to mention the perk of their function: blocking the blazing sun! Have you noticed the instant bump that dressing the windows can do for a room? 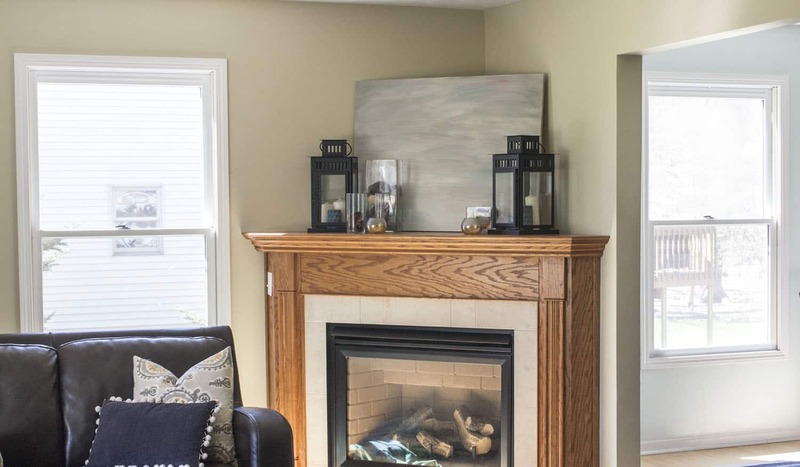 What is the latest thing you’ve added to your home?